What’s up with … Uta Pippig? 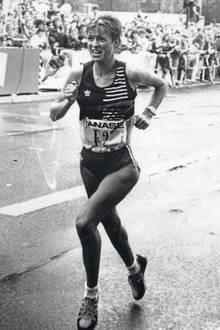 She won in 1990 at the first Berlin Marathon three days before the reunification. It was the beginning of a global career. Did you ever calculate how many kilometers you have run so far in your life? Roughly estimated, it would have been five orbits around the globe. Imagine this: Earlier in my running career, in the late ’80s, I mended and glued my favorite running shoes until they fell apart. In 1990, after the fall of the Berlin Wall and the Berlin Marathon win, I went through up to 15 pairs each year. Well those shoes have been successful for years. They have won three times in Berlin, three times in Boston and once in New York. Your biggest win? There were two. First, the Berlin Marathon just before the reunification of East and West Germany in 1990. It was so emotional. As an East German runner, to actually run through the reopened Brandenburg Gate and win the race, that was very moving. It was our run to freedom. I will never forget the many happy faces, the joy. And then the 100th edition of the Boston Marathon in 1996. A few kilometers after the start, I had severe pain in the gastrointestinal area, and I had to let the leaders go. I even thought of giving up. Then the turnaround. Fueled by the enthusiastic crowd, I struggled back to catch the leaders. The cheers were breathtaking. Maybe my greatest sporting success. The then US President Bill Clinton invited you to jog together in Washington. How did that happen? It was a tradition that the winners of the Boston Marathon were invited to the White House. I visited twice with President Clinton. We jogged for a few miles along the beautiful Potomac River, accompanied by the Secret Service, also in running gear. Approaching runners greeted us from time to time: “Good morning, Mr. President.” This happened several times. Then a runner came to greet us, “Good morning, Uta.” Everyone laughed, even President Clinton. After running, we did some stretching exercises. He was interested, full of respect. A great experience. You have the reputation of being the happy “Sunny Girl” of athletics. Do you also know motivation lows? Of course. There are some days when I am just tired. I respect that — it is part of life. But I always attempt to overcome those feelings and not let them linger. I set new smaller goals that I can achieve. I advise runners and companies on fitness and health, and I also hold motivation seminars. Most of the time I spend with my foundation Take The Magic Step™. In the US and in Germany. We work with our charity partners, organizations that take care of underprivileged children and adolescents. We support their charity events and help young people to embark on a positive path. Your best experience of success? There are many! Once I worked with a woman who had just finished cancer treatment. 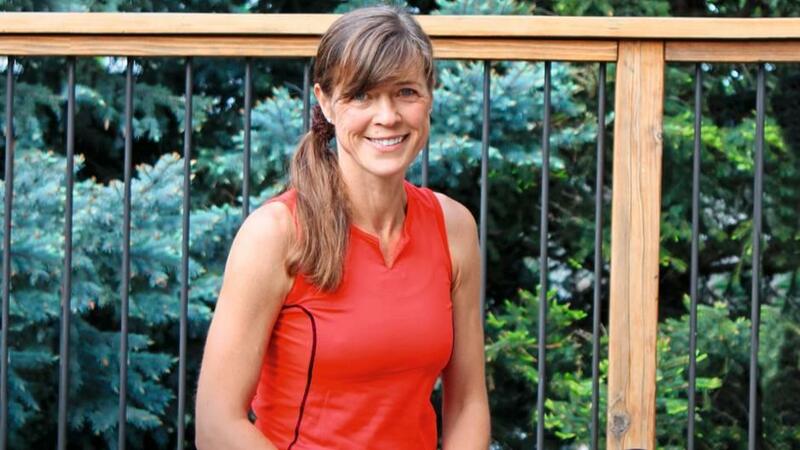 She was so full of courage and spirit that she wanted to run a marathon. At the same time she was looking after her family and children. I trained her while she was closely supervised by her physician. And she ran this wonderful race in New York — and then, to my surprise, right after that she ran another marathon. She said that after all she had been through, running gave her a lot back, it was “her time” — all to herself.